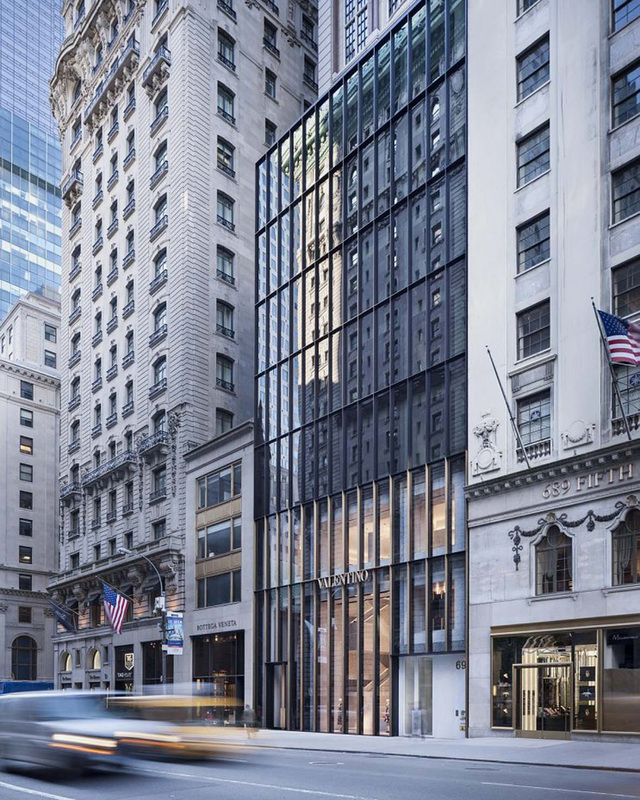 in new york, a clock designed by david chipperfield and john morgan has been installed onto the façade of valentino’s flagship store, also designed by the british architect. 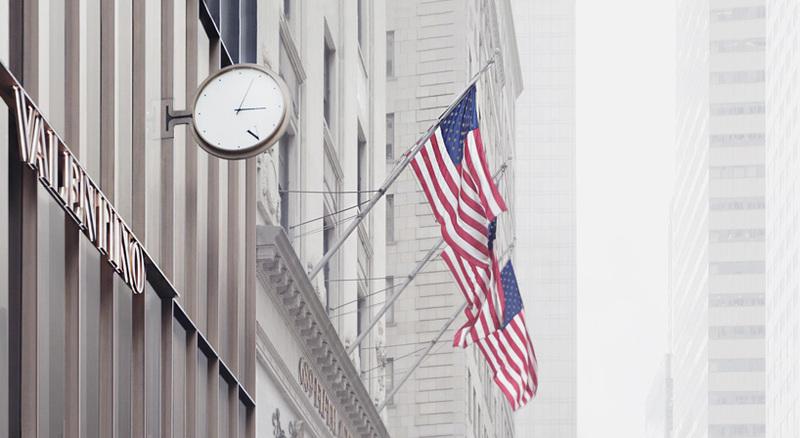 manufactured by GB milano, the ‘turret clock’ features a large face with more than one dial, allowing the time to be read from different directions. 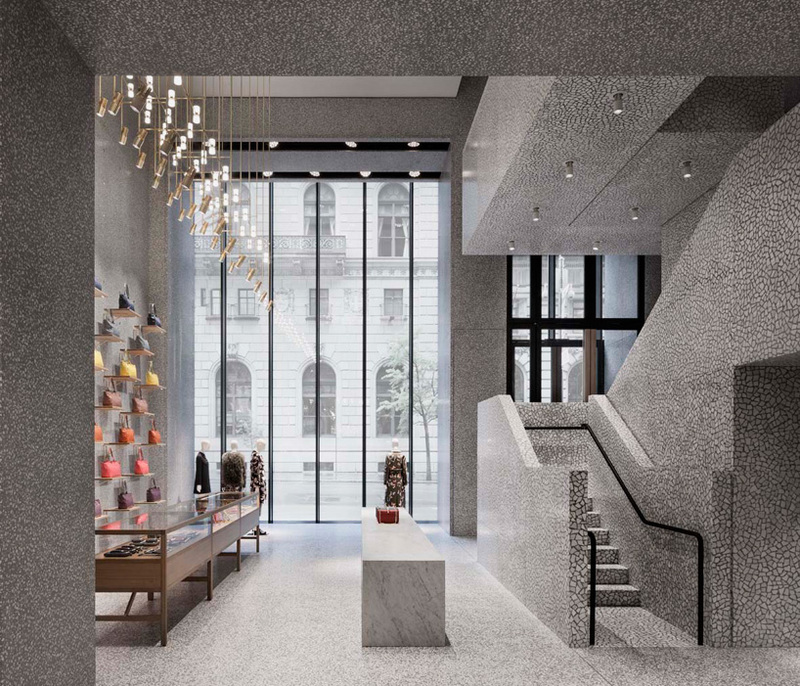 conceived as an extension the store’s elevation, it is not only a clock for indicating and measuring time, but also a device that identifies the building as a public venue. a brass mechanical-electronic instrument indicates hours and minutes with moving hands on a round dial, which incorporates just one roman numeral, recognizable as the valentino ‘V’. 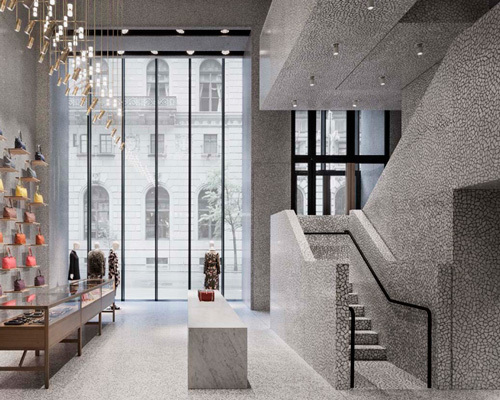 situated on fifth avenue in the former takashimaya department store, (designed by john burgee and philip johnson), the design continues the new store concept developed for valentino by david chipperfield architects in 2012.
however, the project also integrates new developments, with the building incorporating a slim, transparent eight-storey façade composed of black steel and aluminum. at the lower part of the elevation, the vertical bars have a brass finish, while the five upper floors remain black. 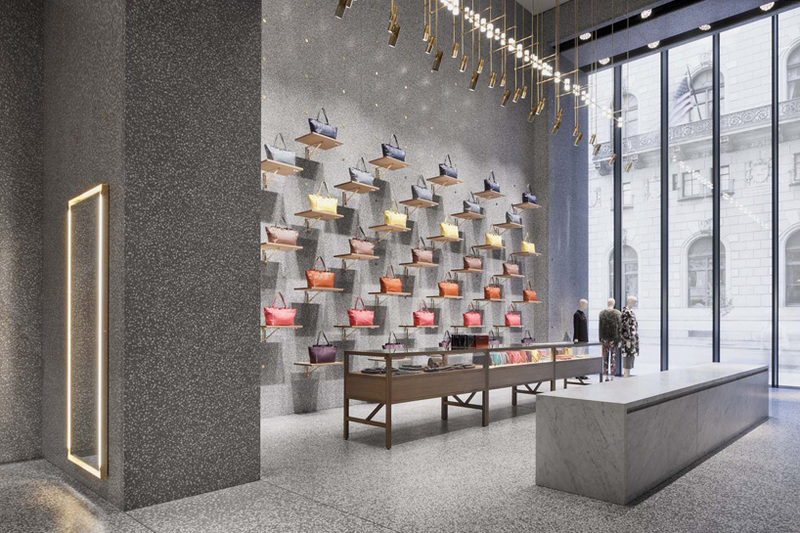 also integrated into the façade system is a lantern and the distinctive valentino sign, both displayed in brass. 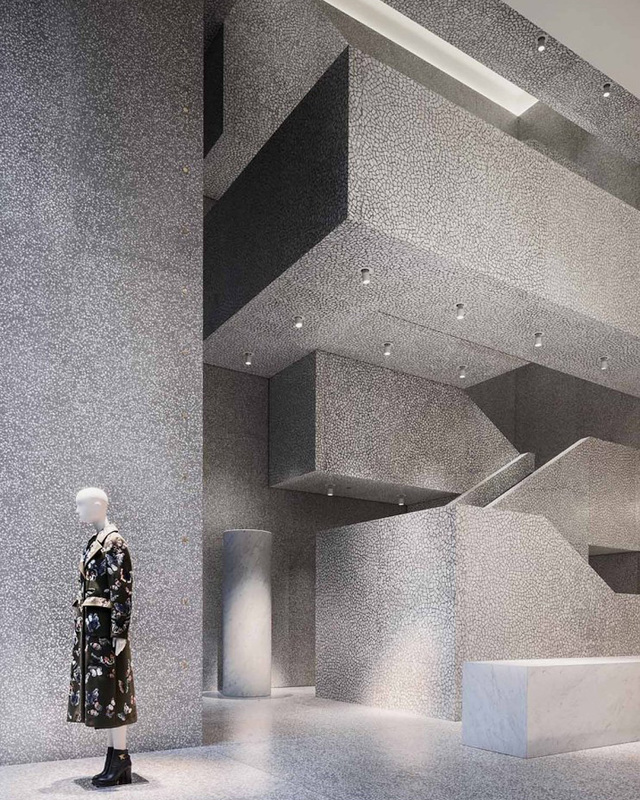 at the entrance, a double-height space houses a monolithic staircase made of palladiana stone. 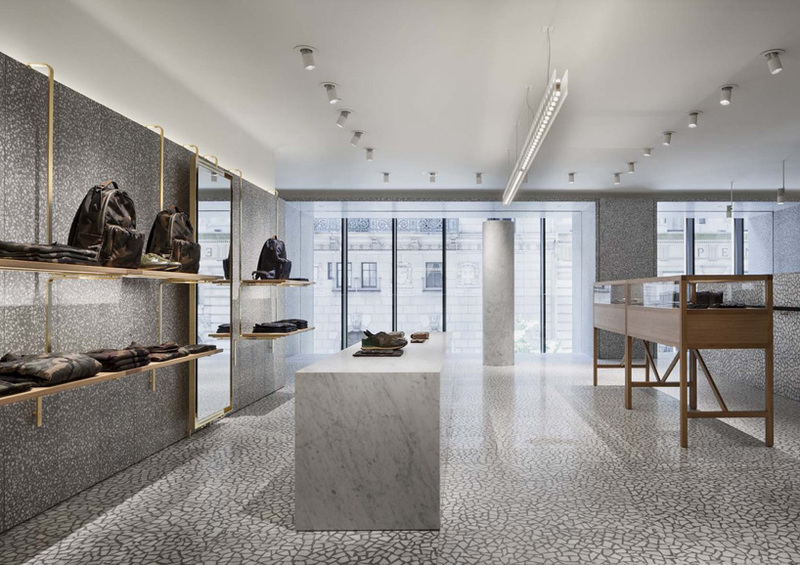 this feature connects all of the store’s levels, taking customers on an ascending tour and allowing them to observe and experience the entrance space that includes a series of single shelves. 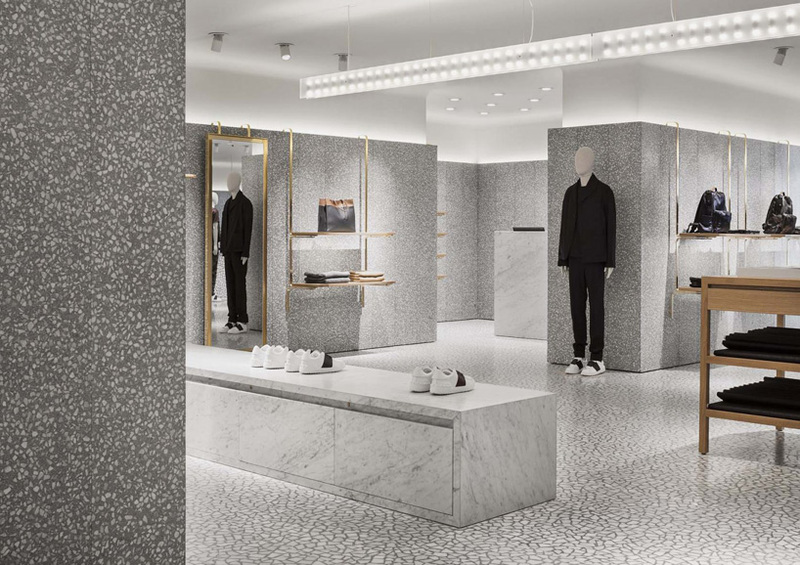 at ground floor level, a completely new accessories concept is adopted, with terrazzo perimeter walls on which brass and oak shelves are attached for product display. 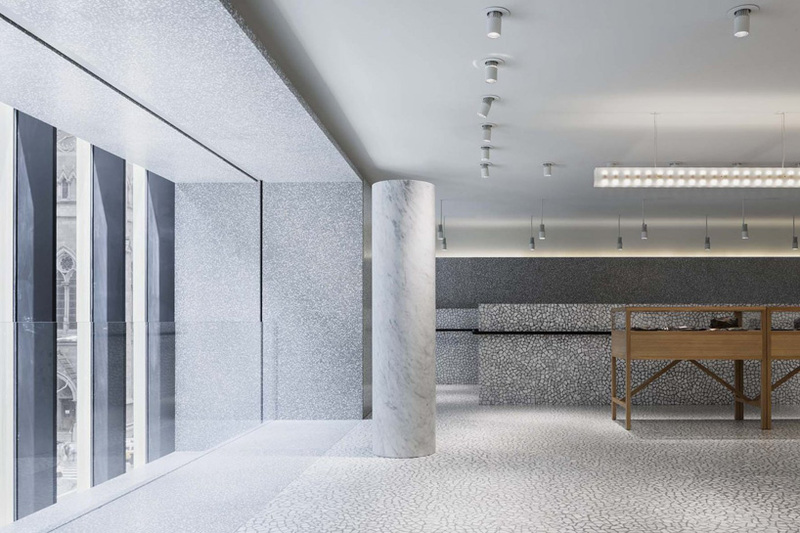 a new range of timber display furniture sits in conjunction with long marble volumes that act both as plinths and furniture. the level above follows an enfilade of rooms, each with different architectural characteristics that separate the different types of merchandise. 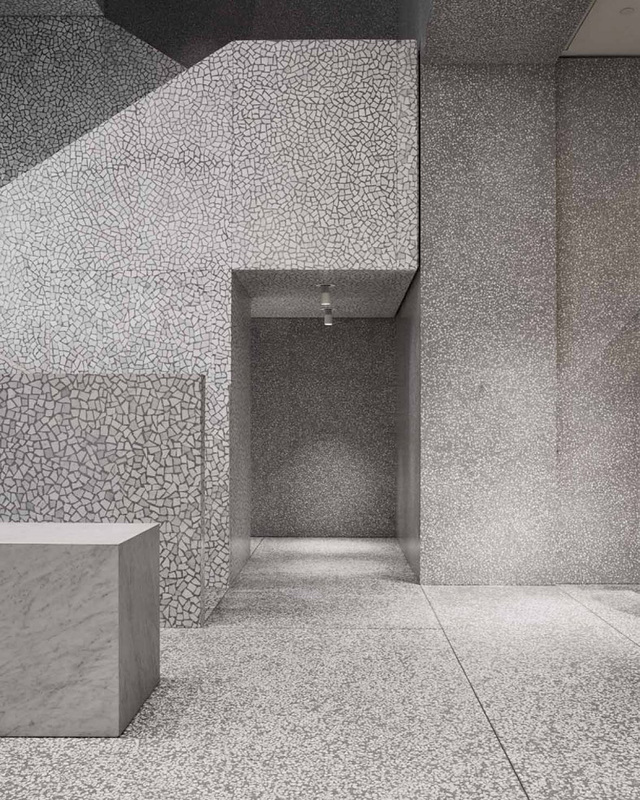 the sequential spaces offer a distinct atmosphere generated by a custom palette of colors, textures, and lights.